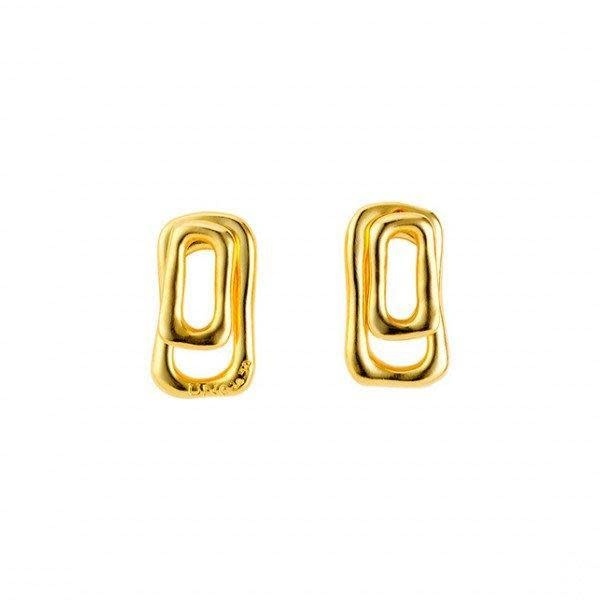 Short earrings, golden plated, composed of two rectangular link chains overlayed. An original design which you can wear on the front and behind ears. Two jewels in one. Made in Spain by UNOde50 and 100% handmade.